This afternoon we were in downtown Tampa for the Gasparilla Festival of the Arts. Even with the unseasonably cold weather the festival was crowded and parking spots were sparse. We had a long walk from where we parked, and on the way we passed this very retro looking theater. 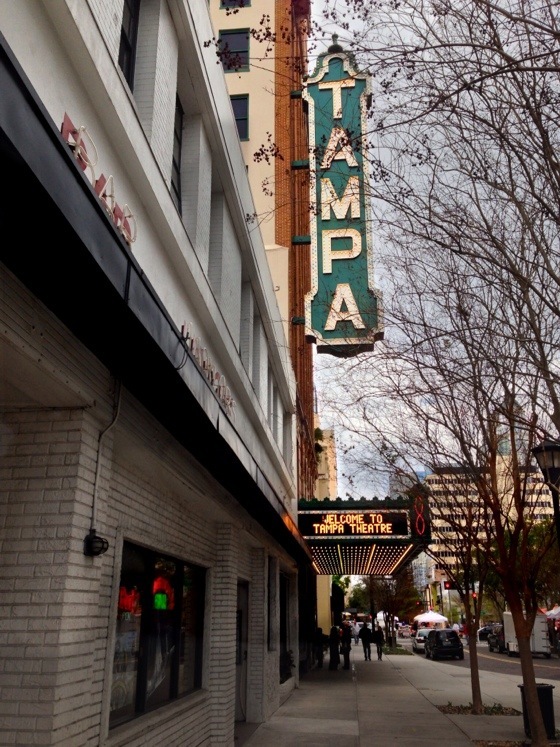 It seems like every time we walk around Tampa I come across another interesting building with a history. The theater was built in 1926, and in its day it was one of the foremost movie palaces in the country. I took a long break from photo blogging and now I am back with a new format featuring photos taken with my iPhone. Gallery photos appear in chronological order — the most recent image at the top left. Clicking on an image will open the complete post and additional photos.